Minecraft 1.4.2 Too Many Items Mod. Marglyph’s Too Many Items mod is one of the re-known mod which gives you the liberty to play with some advance quality mods along with some modifications in your game. 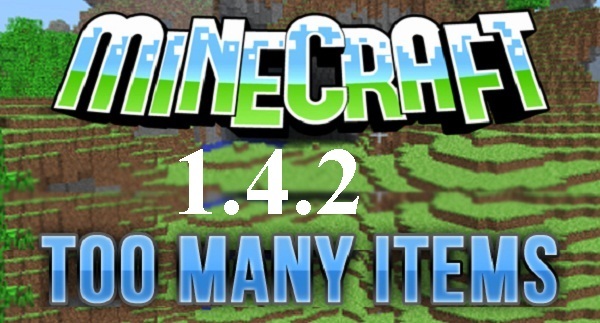 Too Many Items Mod is now have a compatibility with latest released Minecraft 1.4.2 version. So fans enjoy playing Minecraft and check the rest of the updates below. Release date: 25th October 2012. – If you are having any troubles, issues or crashes while installing TMI in Minecraft 1.4.2, post a comment below. Have Fun playing Minecraft Too Many Items mod for 1.4.2 and keep coming here to check the latest updates of your favorite game online here..